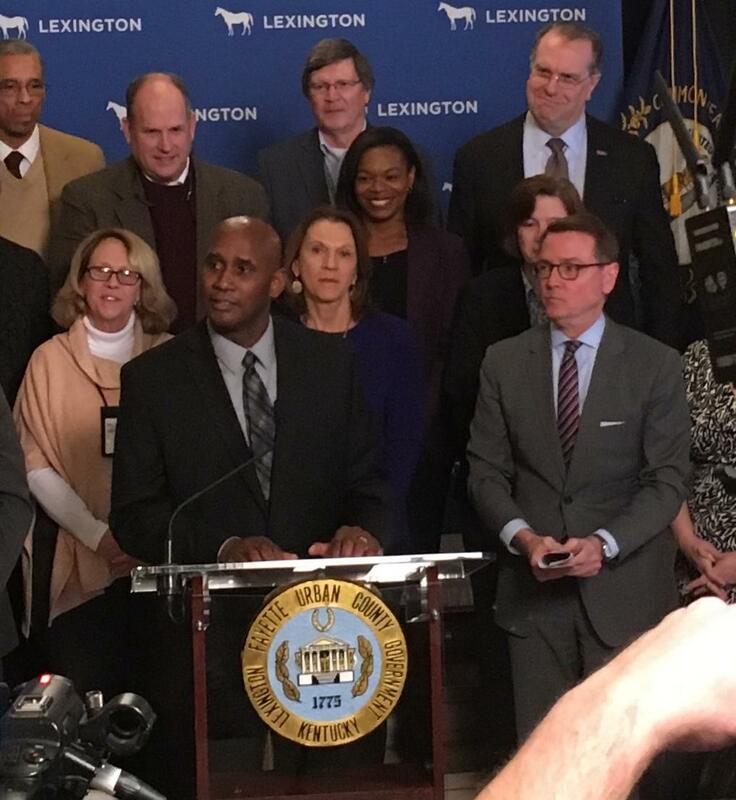 Lexington Mayor Jim Gray has named a veteran law enforcement officer to head the Division of Police. A packed city hall lobby welcomed the news that Lawrence Weathers will be the city’s new police chief. Mayor Jim Gray noted the community support before offering his formal remarks. “I will tell you something right out of the gate Lawrence, before we even talk that, this is by far the largest crowd that we have ever had in this room,” said Gray to an applauding audience. The 54-year-old Lexington native admits the responsibility of the job is a little bit scary. Weathers says he knows he can call on several people he’s worked with for advice. “I will openly address public safety concerns and strive to promote justice, fairness, integrity, and respect, both internally and externally,” pledged Weathers. Weathers takes over in March following Mark Barnard’s retirement in January. Weathers and Barnard were both considered for the police post when Barnard was named in 2015. Gray thanked Ron Compton for his service as interim police chief.